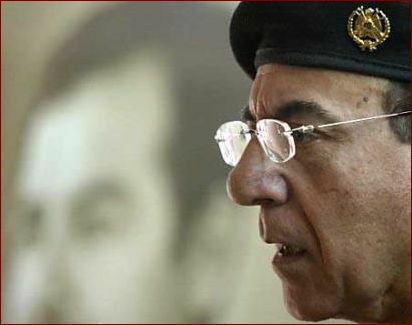 Iraqi Information Minister Mohammed Saeed al-Sahhaf has been the best comic relief of this conflict. Does this man actually believe anything he says for the record? He's an interesting guy. 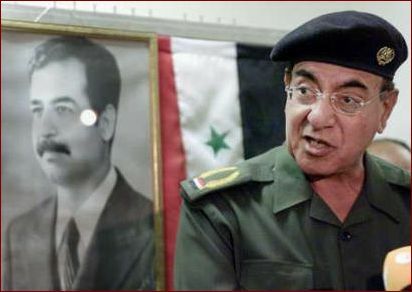 He's possibly the most familiar face of the Iraqi regime save Saddam Hussein. 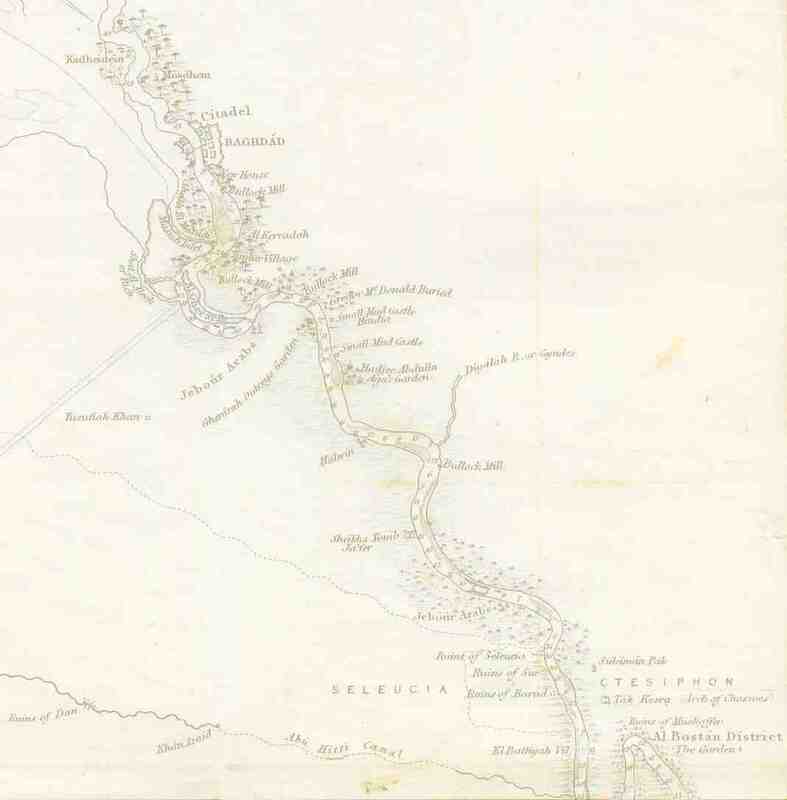 In Saddam's Sunni-dominated government as-Sahhaf - a Shia Muslim - is an outsider. He's also not from Saddam's power base of Tikrit, having been born in Karbala. 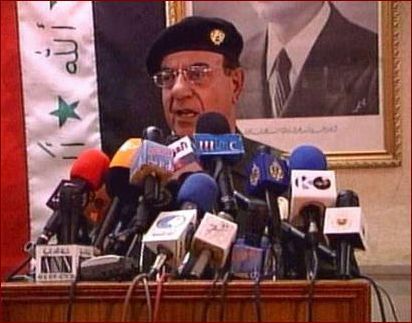 He's been the head of Iraqi broadcasting, ambassador to Burma, Sweden, and the UN, and the foreign minister after Tariq Aziz (who is now the prime minister). But most of all he's been the closest thing Iraq has to Benny Hill. His whereabouts are currently unknown. Somewhere in Tikrit? Still in Baghdad? Escaped to Syria? Dead? Hopefully not the latter; his a talent too valuable to waste. He's certainly got a future in Hollywood. "Be assured. Baghdad is safe, protected." "The authority of the civil defense ... issued a warning to the civilian population not to pick up any of those pencils because they are booby traps," he said, adding that the British and American forces were "immoral mercenaries" and "war criminals" for such behavior. "I am not talking about the American people and the British people," he said. "I am talking about those mercenaries. ... They have started throwing those pencils, but they are not pencils, they are booby traps to kill the children." 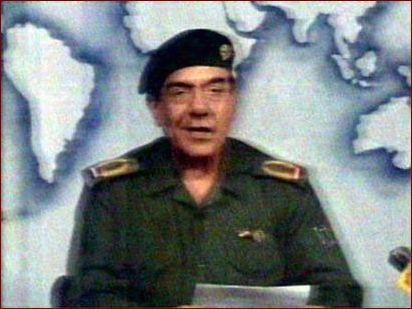 "We have placed them in a quagmire from which they can never emerge except dead"
When told coalition troops occupied Baghdad airport - "...at Saddam Airport? Now that's just silly!" "Their forces committed suicide by the hundreds.... The battle is very fierce and God made us victorious. The fighting continues." 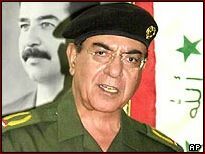 Q: Is Saddam Hussein still alive? A: "I will only answer reasonable questions"
"This criminal [Bush] in the White House is a stupid criminal"
[Iraqi opposition leaders are] "bats ... and a bad American product."